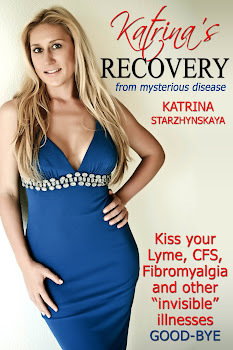 NOTHING IS INCURABLE: I am a TRUE Lyme success story!!! I am a TRUE Lyme success story!!! I have been struggling with Lyme for at least 5-6 years. I tried ALL possible treatments, some of them were making me feel better, but temporarily, I would relapse sooner or later. Finally I saw a reference to ASD, I decided to give it a try since nothing else worked for me so far. I was fortunate enough to exchange some e-mails with Katrina. She offered to guide me untill my full recovery. She is AMAZING! She kept pushing me and inspiring me! I am so grateful there are people like her! Katrina was so patient with me, because sometimes I was about to give up, but she would push me and encourage me to fight till the end! And here I am, Lyme free for 8 month now!!! Thank you my dear friend Katrina, and God Bless Your heart!